We understand that a reliable service from a company you can trust is important, so we work hard to ensure we offer the most efficient service in the industry. We continually invest in our products, delivery capabilities and our people to ensure we stay one step ahead of the rest and encourage your long lasting business. We are dedicated to providing an extensive range of high quality water dispensers and related accessories that perform consistently and offer great value for money. Whatever your requirements and however small or large your organisation, you can be sure we'll have a solution that is right for you. Office Watercoolers offer nationwide delivery, wherever you are in the UK and whatever the weather. We operate from a network of distribution centres strategically located throughout the UK to ensure that we never let a customer down. 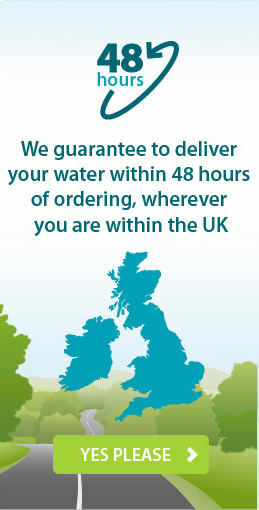 Every single one of our customers is eligible for our extremely reliable delivery promise, to deliver your water, free of charge, within 48 hours of ordering. In fact, more than 80% of orders are completed on the same day! Our customer service team will work with you to schedule your delivery for a time that is convenient for you and should you have any last minute orders, then it's not a problem we will always do our best to arrange delivery so you never run out. We recognise that as well as having extensive choice, reliable delivery and the highest quality spring water the relationship with our customers is pivotal to our success. From the very beginning our staff are committed to delivering the best possible standard of service to our customers. Our friendly team will help you decide which of our products and packages is best for you. We aim to provide accurate and clear information in response to all your enquiries and we do this in a polite, honest and professional manner. Through consultation with our experienced and knowledgeable team we'll ensure the right product for your needs. We offer a no obligation site survey for all of our mains fed dispensers and a free 7 day trial on all our floor standing and counter top bottled water coolers, two options that help to guarantee your satisfaction with our products and service from the start.